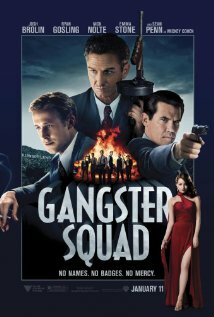 Gangster Squad did not take advantage of its all-star cast, but was enjoyable enough to download someday as a rental. The 1949 story was about Mickey Cohen (Sean Penn) who worked to build an empire that would take over all off-track-betting from the Pacific to the Mississippi. LAPD Chief “Whiskey Bill” Parker (Nick Nolte) pulled a task force together headed by Sgt. John O’Mara (Josh Brolin), to bring Mickey down. O’Mara handpicked the team with his wife’s help and started banging heads before they were ready or trained. While the film fired off more bullets in the climax than the action required, the story had a softer edge like the ABC series Castle, written by the same screenwriter, Will Beall. The softer edge might also be attributed to producers Kevin McCormick (The Lucky One) and Michael Tadross (Arthur). This shoot’em up was R-rated for strong violence and language, which mostly took place in the second half of the film. Emma Stone did a great job playing Grace Faraday, Ryan Gosling’s love interest, but her scenes were designed more as eye-candy than plot or character development. Sean Penn was the greatest disappointment, but not due to poor acting. He excelled as Mickey, but deserved a far meatier role than this story allowed. His fake nose was believable, but it wasn’t necessary given the soft TV oriented screenplay. One scene was completely removed in order to soften the film and a replacement shot. The original scene depicted a group of men breaking through a movie screen and shooting up the audience. Once the news hit with the Aurora, CO Dark Knight tragedy, the film was shelved until January so the scene could be replaced. 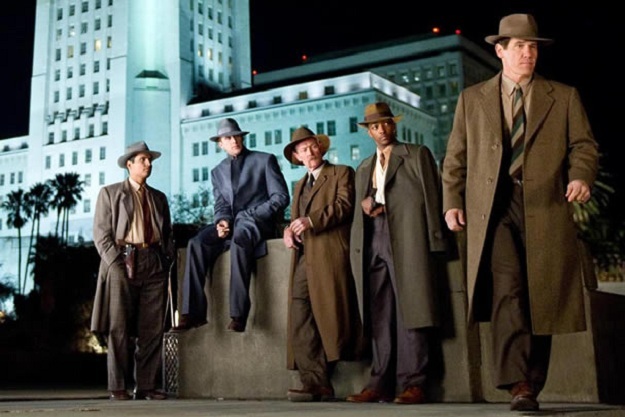 Overall, Warner Brother’s attempt at bringing back the studio’s series of gangster films never left the ground except for those who like the bland gangster stories from their grandparents youth. In my mind the rebooting of this dusty franchise failed to capture the contemporary audience, for which it was intended.